Update, 11/07/2017: New renderings (above) released by Vista Investments reflect increased streetside landscaping and offer a better sense of the post-improvement pedestrian environment along Figueroa. 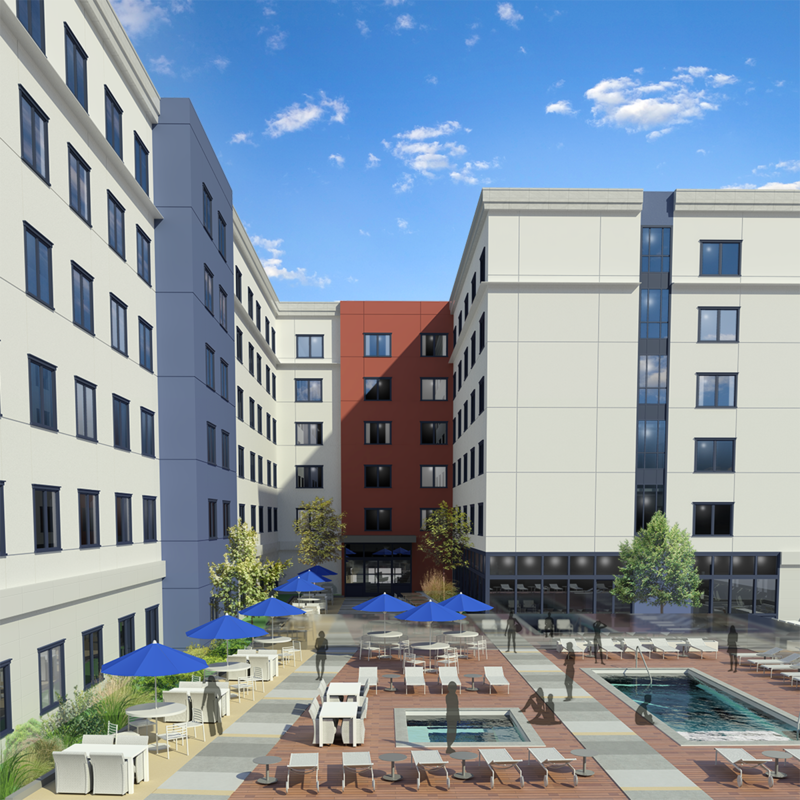 The hotel, located within blocks of the USC campus near downtown LA, is planned as a dual-brand Marriott property with 125 Fairfield Inn rooms and 150 Residence Inn rooms. 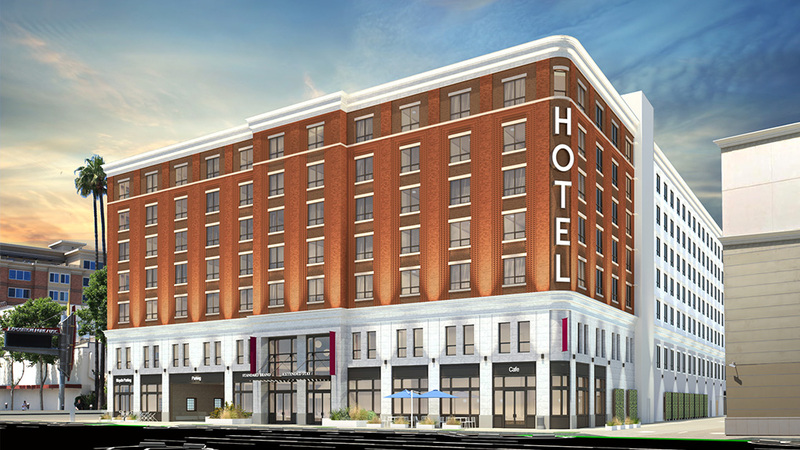 It will have seven stories and 275 guestrooms in total. It will include a café, meeting rooms, a fitness center, and an outdoor pool deck for both short-term and extended stay guests. The Figueroa Corridor is undergoing a good deal of change. 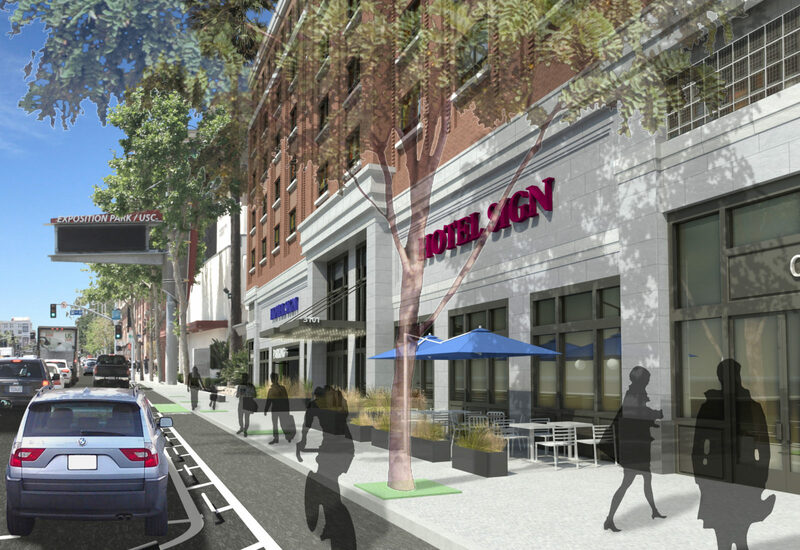 The city is currently implementing the “My Figueroa Project,” which will add protected bike lanes and upgrade the street overall, making this a great location for students, professors and guests to the campus to visit. The hotel is currently in entitlements and is expected to be complete in 2019.